The arboretum at Tortworth is a very special place. 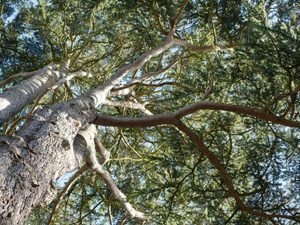 It has a long and interesting history and boasts some incredible exotic trees. 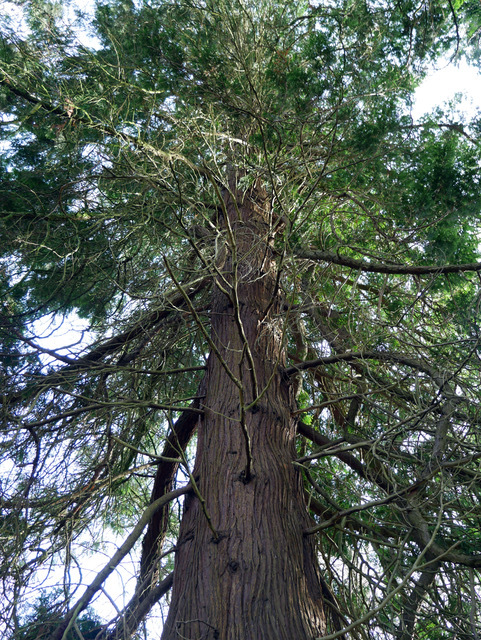 The trees are a living history of the woodland and the family that planted it, but a few years ago the collection was at risk of decline through lack of management. That is, until 3 years ago when woodlands.co.uk purchased the woodland and the trees were given a new lease of life - while also changing lives. The 20 acre site is now managed by a community woodland group who are gently restoring the trees and at the same time, making a difference to people, as we hear from one of their regular volunteers. 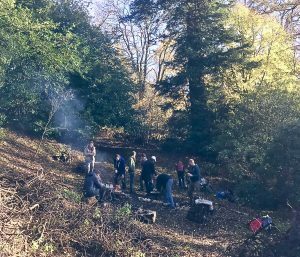 Steve (below) describes his experiences beautifully and we hope that his words will inspire more people to volunteer in their local community woodland. 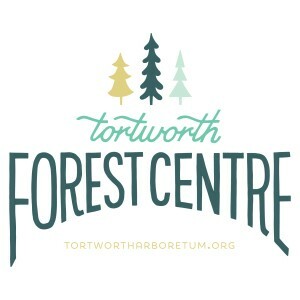 Volunteer days at the Tortworth Forest Centre are open to all, and are a safe space for anyone who needs to access nature for their wellbeing. Regular volunteering and time spent in nature are both known to improve mental and physical health. Steve attends the monthly Volunteer Conservation Days, which are funded by The Nineveh Charitable Trust and as he gained confidence he has started to attend the weekly Management Days funded by Big Lottery Fund. For information on volunteering or any of their other projects, please contact [email protected]. Steve's account : I have been volunteering at Tortworth arboretum for just over a year now, more recently joining the weekly Woodland Management group. Prior to my volunteering here I was struggling with alcohol addiction and mental health issues. These issues are ongoing, but I have been slowly and surely learning to manage them with more success. I am certain that my volunteering at the arboretum has been and continues to be instrumental in my recovery. Volunteering affords me the opportunity to join with others and contribute to the excellent work taking place here. Connecting with a diverse range of people - some of whom have experience of similar issues - in a welcoming and salubrious setting, has been key for me. The work is varied - my tasks have included Japanese knotweed removal, preparing logs for step building, making silver birch brash parcels and helping to plant a pear tree - one is able to work at a comfortable pace and contribute whatever relevant skills they possess. It's an ideal environment too for developing and acquiring new and transferable skills. My interpersonal skills and ability to communicate effectively with others as part of a team have greatly improved, as has my general ability for problem solving and seeing tasks through to completion. Physically, mentally and spiritually, volunteering here has been very beneficial. Being close to and working with nature is therapeutic, and it's often a great release to get out of the frenetic urban landscape and into a living, peaceful and beautiful environment. There have been some special moments as I think back over my time volunteering here. Last December, shortly before Christmas, we were treated to mulled apple juice (non-alcoholic!) and chestnuts around the camp fire, whereupon an impromptu festive singalong broke out. The eccentric gambolling of the goats often induces a raised eyebrow or two. 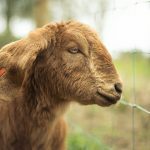 One morning, after I had been taught how to start the camp fire using just flint and steel, one of the goats suddenly and inexplicably decided to take a running leap over the kindled flames. 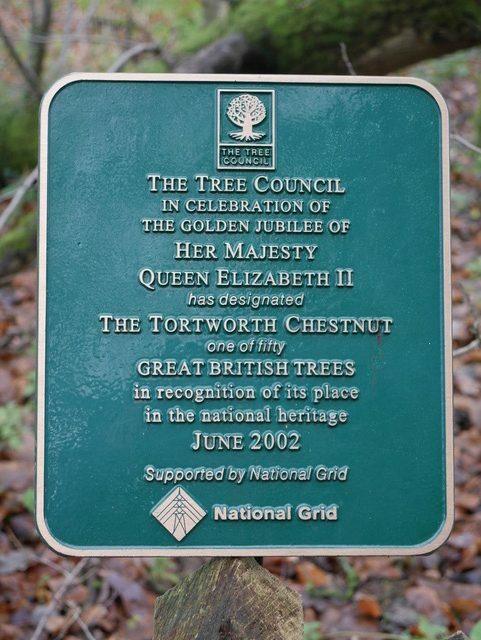 Quite recently, there was a short detour on the way to the arboretum to visit the ancient and renowned Tortworth chestnut. This was followed by a visit from a tree expert who was interested in dating the sweet chestnuts in the arboretum and establishing a direct genetic link between these trees and the aforementioned Tortworth chestnut. An aura of magic surrounded the day I encountered fly agaric mushrooms - the kind associated with fairies - and dragonflies for the first time. The occasional exploratory tree identification walks have been a highlight too. Jacob's knowledge of the various tree species and history of the arboretum is extensive, and the throng of volunteers are held in rapt attention. On one of these walks I caught sight of a muntjac deer, just for a fleeting moment.